Book a demo with an industry expert to find out how our “Personal Print Store Technology” can work with your business! Your print job could be racking up unnecessary expenses. Want to learn where you could be saving money on your next print order? Read on to learn of unnecessary costs that commonly occur! Reprints could be in answer to a sad or happy event. Say your event coupons were a hit, so you ran out of them too soon—that’s a happy reason to order a reprint! But if you need a reprint because of an error you found in your first print, then that reprint is a huge bill that could have been avoided. Keep in mind that not all reprints are due to happy reasons. Practice care. Knowing the wide range of what is available to you at an online printing store will allow you to make wise purchasing decisions. For example, knowing which paper type is the best value for what you have to spend, or which custom shapes come at higher pricing. Familiarizing yourself with a printer’s catalog will allow you to meet your needs at an acceptable price point. When you rush a project through creation to print, you increase the chance of print errors. The added stress of a deadline might cause you to forget an important element or miss spotting a text error in your content. It might not be possible to avoid deadlines entirely. But knowing that rush prints are prone to error should help you give your creation a third or fourth look before placing that order. Your black and white creation is being treated as if it were a 4-color product—bringing with it a higher cost. This could be because of hidden colors in your design or logo. There are other ways that costs due to color choices can start to stack up. Talk with your Print Coach about color options that fall within your budget, and you’ll get rid of worries over unintended color costs. You had a great design, logo, or image, but now you can’t find it! 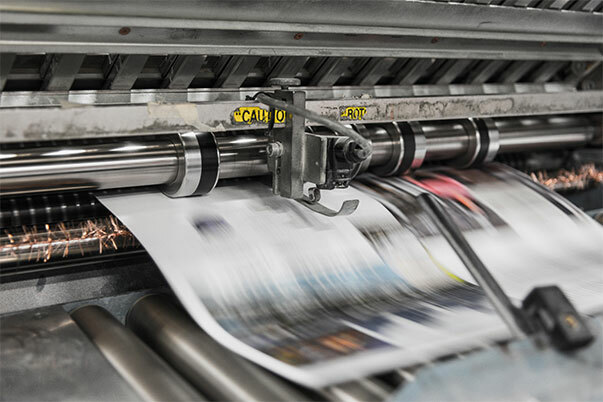 Your print product is held up for days, accruing time costs as you scramble to locate or recreate the desired digital collateral. This common tale of woe is part of the reason Fotorecord’s online system includes free storage of your images, logos, and other files. Once you upload it to your Fotorecord account, it is safe and easily found for next time.